Hagyard Equine Medical Institute, the oldest and one of the largest private equine veterinary facilities in the world is proud to announce the opening of their new real-time PCR Laboratory. Real-time PCR is more sensitive, specific, and reliable than conventional PCR. Results can be relayed in a matter of hours instead of days. Hagyard Laboratory is staffed with professional, certified Medical Technologists and Technicians that are committed to providing quality results. 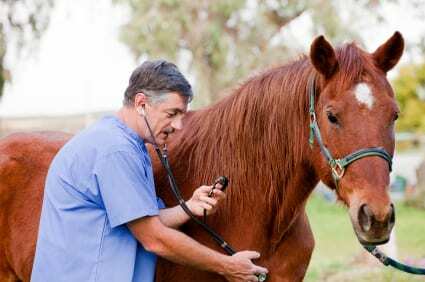 The laboratory is managed by professionals that have extensive knowledge and many years of experience in all areas related to equine veterinary laboratory medicine. Testing is available 24 hours a day, 7 days a week, with special pricing for after-hour samples and bulk testing. The Hagyard Laboratory also offers services in hematology, clinical chemistry, cytology, parasitology, endocrinology, microbiology and Coggins testing. This entry was posted in Horse Care and tagged Hagyard Equine Medical, horse care, Horse Racing, thoroughbred by Press Release. Bookmark the permalink.